In the United States, mariachi music may be most familiar to those who only encounter it in Mexican “theme” cantinas, but in its original form, still vibrant in Mexico today, the music is a complex mixture of many Spanish, Native American and even African elements. 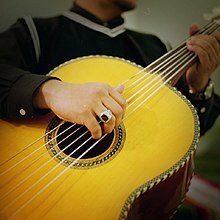 Mariachi bands are composed of violins, trumpets, a guitar, a five-stringed ukelele-esque guitar known as a vihuela and a deep bass guitar known as a guitarrón. They perform at public functions like weddings, ceremonies and funerals, and are always prepared to entertain. Mariachis are expected to know thousands of songs with varying arrangements so they may present exactly the right song to fit the appropriate mood. At any given time a band may play music using most any meter, such as waltzes and joropos in 3/4 time, HUAPANGOS (like in Las Mañanitas, the mariachi song on our All Around This World: Latin America CD, and son jalisciense numbers that alternate between 3/4 and 6/8, 2/4 polkas, 4/4 boleros (like this one performed by Ramon), and rancheras (like these performed by Placido Domingo, though are we allowed to prefer Ramon?) which could be in 2/4, 3/4 or 4/4 depending on they style and mood. Check out Wikipedia’s entry on mariachis for a list of various styles of music and various meters mariachis are expected to play. 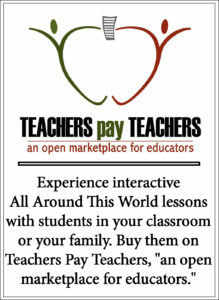 A bit more about mariachi music: TeacherVison’s overview | Mariachi Vargas performs “El Mariachi” | Viva Obama!